South Yarra's very own craft beer destination; Tru Bru, has gained a strong and loyal following in the 7 or 8 months since it's opening. Dedicated to the finest products and the freshest possible beer, Tru Bru has fast become the go to place for Melbourne craft beer lovers. It's a growler only store (I lie, there's no bottles but a few cans) the concept coming from Anton's homeland, Russia, where takeaway tap beer is commonplace. 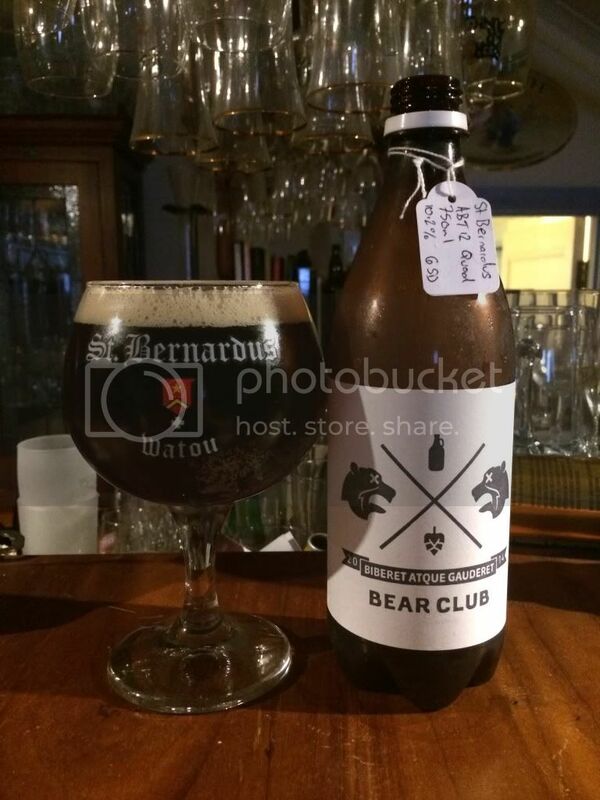 To capitalize on this popularity Anton, Tru Bru's founder, has launched the Bear Club, an invite only club for Australia's craft beer lovers. You can find further details here, but essentially for $90 a month you get access to some really rare tap beer that you can enjoy delivered to you door in convenient 750ml bottles. The Garage Project's Pernicious Weed! 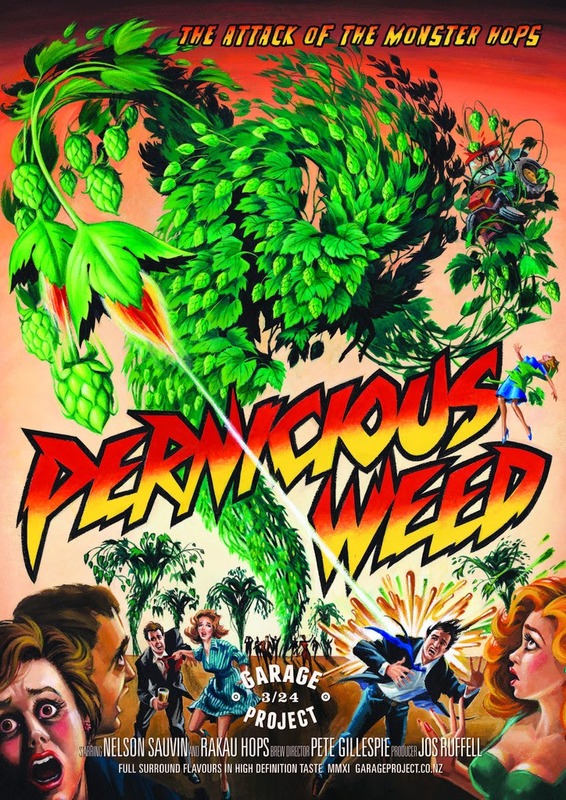 All the beers that these guys pump out are awesome and Pernicious Weed is one of my favourites of theirs. New Zealand make some brilliant hoppy IPA's and this is one of the best! There's lots of tropical fruit flavours coming from the hops and for an 8% IPA you barely notice it going down. Check out the artwork (left) as well, it's pretty cool. Beer 3 in my Bear Club pack was Sixpoint's Global Warmer. American Amber Ale's have a time and a place but on the whole I'm not the biggest fan of them. This Amber is different; in a can I thought it was sensational, on tap it was even better! All the Sixpoint stuff is pretty incredible but this is definitely not a beer to miss. The first Australia beer I sampled from the Bear Club pack was the Dainton Family Black Sheep Smokey Stout. It was probably the weakest beer of the bunch, but there was extreme competition! The flavour was nice and smokey, as expected, but the body was just lacking that bit of "oomph" that I like in my stouts. The next beer I cracked into was an inspired choice in my opinion; Two Birds Taco. The brewery is run by two girls down in Spotswood and they make some really good stuff. Taco is brilliant, it's such a simple beer yet also complex at the same time. It's a hoppy witbier with corn, citrus elements, coriander, chilli and spice flavours all mixed together to make this very quaffable beer. I deliberately saved the best for last; St. Bernardus ABT 12. This is a big Belgian Quadrupel - that I hadn't had in years! After this tasting I'll definitely be buying more! The flavour is very Belgian; sweet malts, dark fruits and Belgian funk. Trust me on this one, drink this with blue cheese - I had mine with a Crozier blue, which was just a sublime match! Now if the idea of joining a beer club is the sort of thing appeals to you; as a special offer to Beer O'Clock Australia readers Tru Bru are offering an extra Tru Bru branded glass to every new Bear Club subscriber that mentions this post! There are still a few places left to join the club for June - so here you go guys; you're invited! Having seen most of the lineup for June, if you love beer you'd be silly not to drop Anton a line at anton@trubru.com.au or drop into the store to get involved. Spots are limited so get in quick to avoid disappointment! Do I still need an invite?